Treasure of the Sierra Madre on VHS. Starring Humphrey Bogart, Walter Huston, Tim Holt. With Bruce Bennett, Alfonso Bedoya. Directed by John Huston. 1948. Pure cinematic gold! This triple Academy Award-winner well deserves its status as a renowned classic. 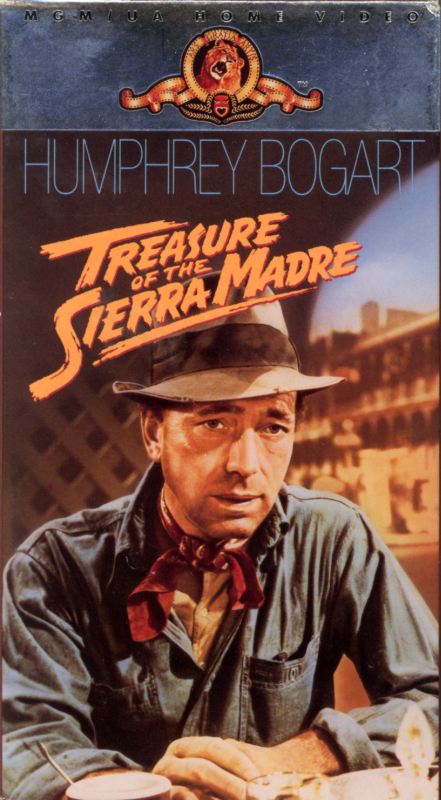 Both a riveting adventure story and a richly sardonic fable, Treasure of the Sierra Madre digs deep into the depths of the human soul, producing one of Hollywood’s all time richest finds. Humphrey Bogart, Walter Huston and Tim Holt play a trio of Americans on the bum in 1920’s Tampico. Pooling their resources, they strike off into the mountains of Mexico in search of gold. Hounded by jungle Indians, a fortune-hunting Texan (Bruce Bennett), and cold-blooded banditos (led by Alfonso “I don’t have to show you any stinkin’ badges!” Bedoya), they finally must confront they most dangerous adversaries of all… themselves. As the crusty Fred C. Dobbs, who succumbs completely to his lust for gold, Bogart’s performance stands as a high point in his grand career. But it was the Huston father-and-son team who won the film’s three Academy Awards — Walter for Best Supporting Actor and John for Best Director and Screenplay. Beat the Devil on VHS. 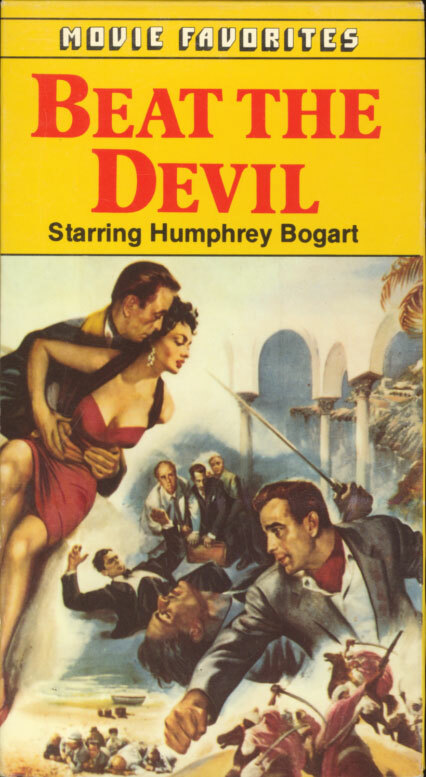 Starring Humphrey Bogart. With Jennifer Jones, Gina Lollobrigida, Peter Lorre, Robert Morley, Marco Tulli, Ivor Barnard, Edward Underdown. 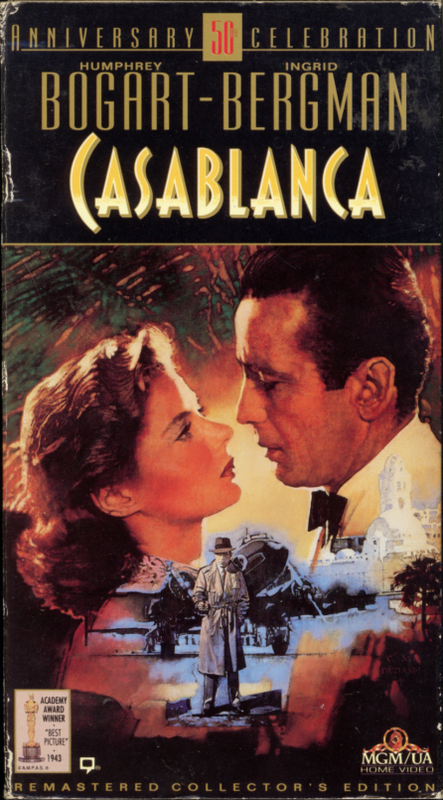 Screenplay by Truman Capote. Directed by John Huston. 1953. A strange lot of characters plot to capture a uranium treasure on the African Coast.